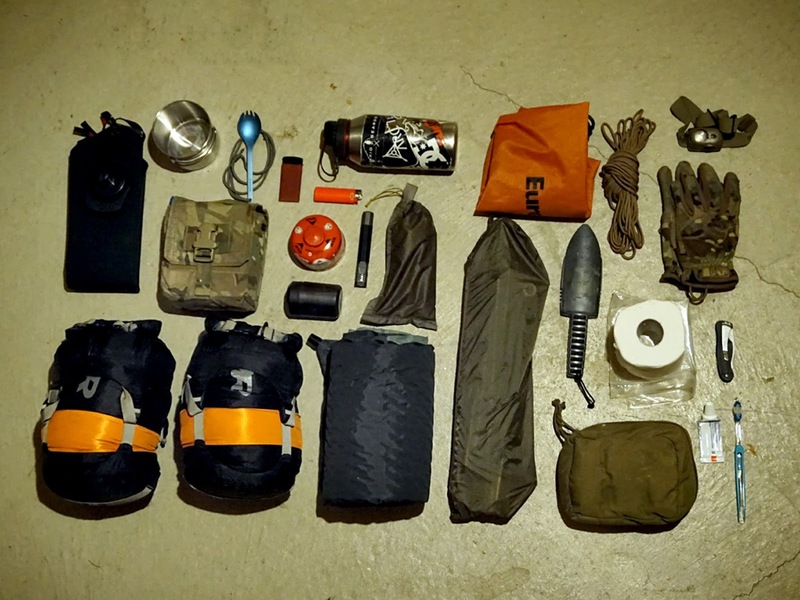 When I first started getting into camping the hardest thing to do was to fit everything into one backpack. The source of my problems, I came to realize, stemmed from two problems. First, the vast majority of my gear was entry level with almost no consideration for packability and weight. Second, and this is what’s probably most important, is that I was bringing too much crap. The more I spend time in the woods, the more I realize, you don’t actually need very much! Something that holds true for me especially is that the more I bring in, the more likely I am to lose a piece of gear. Packing for the trip, for whatever reason, is almost as enjoyable as the experiencing the trip for me. Figuring out what to bring, as well catering each list to the location and people I’ll be with is a fun exercise for me. I’ll admit to packing the night before a few times, but ideally, I will pack a few days, if not a week in advance. I used to keep a list beside my bag and would write things down as I put them in. I would keep mental notes and sometimes write after actions of what I wish I had, what worked well, and what I didn’t use. 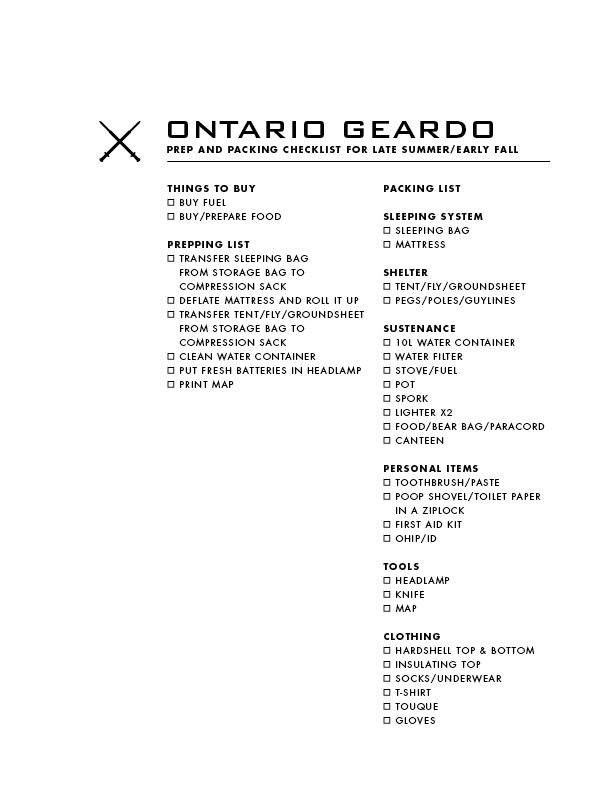 Once I cross referenced that with the packing lists I had made, I was left with a pretty decent packing checklist. No more worrying about if I’ve forgotten something. It’s all just there. 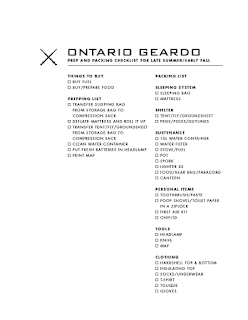 The list below is what I would bring for a late summer/early fall camping trip when the bugs are still around. As well, I've included a checklist of things that need to happen before it all goes in the bag. It's a good reminder that prepping is not as simple as throwing everything into a bag. To keep your sanity and to reduce stress, allocate time to getting your gear ready well before your trip instead of the night before. Here is a complete kit list for those who are interested in the specifics. Awesome post man. Great prelim list for a trip this time of year. And when it comes to buying a genuine and high quality packing organiser cubes, bags, luggage, and pouches Emergency Supplies UK takes pride in providing excellent products range particularly designed keeping our customers' requirements in mind.